Justice Sikri, whose decisive vote on January 8 paved way for CBI chief Alok Verma's removal, has already turned down the offer to be part of Commonwealth Secretariat Arbitral Tribunal. 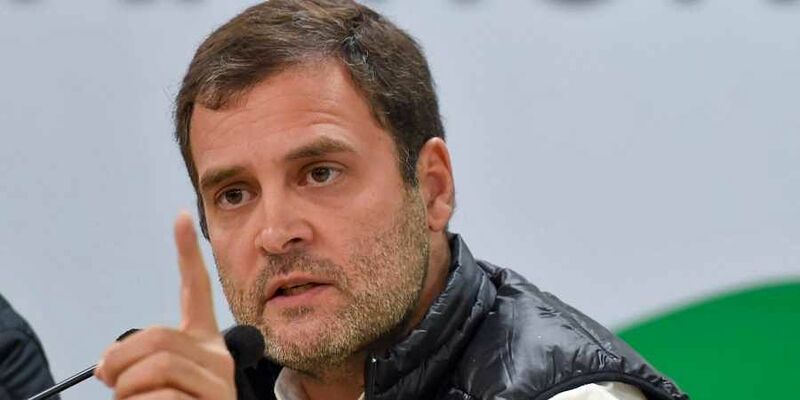 NEW DELHI: Stepping up his attack on Prime Minister Narendra Modi over the Rafale deal issue, Congress president Rahul Gandhi Sunday accused the PM of covering up the "scam", saying "fear" was making him "corrupt" and "destroy" key institutions. Gandhi also cited a media report which claimed the Modi government decided last month to nominate senior Supreme Court Judge A K Sikri to the vacant post of president/member in the London-based Commonwealth Secretariat Arbitral Tribunal (CSAT). On 8 January, Justice Sikri's vote proved decisive in the removal of CBI director Alok Verma over corruption charges. "When the scales of justice are tampered with, anarchy reigns. This PM will stop at nothing, stoop to nothing & destroy everything, to cover up the #RafaleScam," Gandhi tweeted tagging the media report. "He's driven by fear. It's this fear that is making him corrupt & destroy key institutions," the Congress chief alleged. Earlier, senior Congress leader Ahmed Patel cited the same media report and tweeted: "The Government has a lot of explaining to do." Congress leader and former finance minister P Chidambaram also attacked the government over the Rafale issue on Sunday, saying the prime minister's statement that Congress was creating controversy over Rafale aircraft to support competitor was the opposite if the truth. "Incredible statement of the week for people to remember after May 2019. The truth is the opposite," he tweeted. "'Congress creating controversy over Rafale aircraft to support competitor' says PM. UPA Government selected Rafale, Congress has never said the aircraft is bad or the deal should be cancelled," Chidambaram said. In fact, Congress' position is that why is the government not buying 126 Rafale aircraft that Dassault is willing to sell, he said. The Congress has been attacking the Centre on the Rafale issue with allegations of corruption, but the government has repeatedly denied the charges.